Vegan breakfast potatoes, fried in patties. You don't need eggs to make an easy vegan breakfast potato recipe. 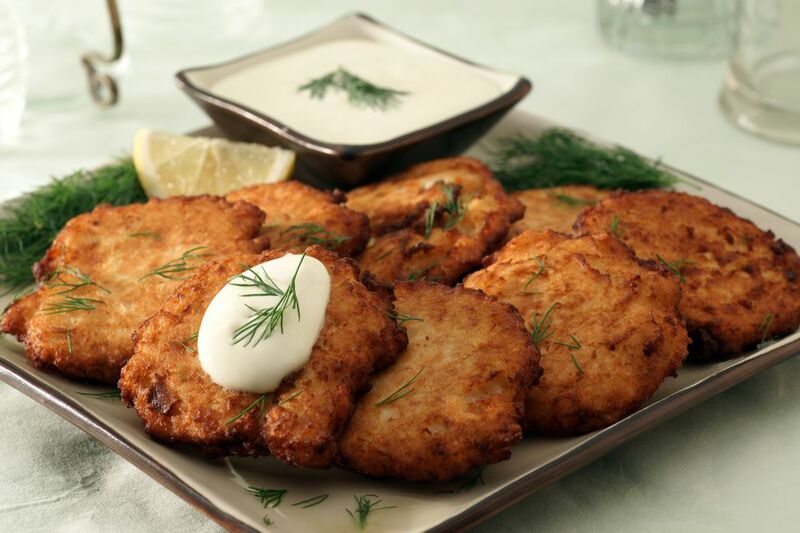 These potato patties are similar to a latke, but the potatoes are mashed instead of grated and held together with egg replacer instead of eggs. If you've got leftover potatoes, try using this recipe to use them up! Mix the potatoes, flour, egg replacer, and salt. Turn the mixture onto a floured bread board or counter top and knead into a dough, adding more flour if necessary until the dough is no longer sticky. Roll the dough out to a 3/4 inch thickness, then cut into rounds (a drinking glass works well for this). Lightly oil a frying pan or griddle and fry the rounds until browned on both sides, about 10 minutes. Serve with applesauce.